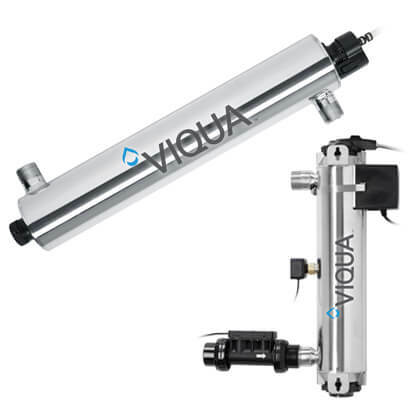 VIQUA Professional Plus NSF Certified Commercial UV Systems | Applied Membranes Inc.
AMI offers VIQUA UV MAX Professional Plus Series commercial ultraviolet water treatment systems with NSF Certification in flow rates ranging from 10 to 30 GPM for use in a wide range of applications. 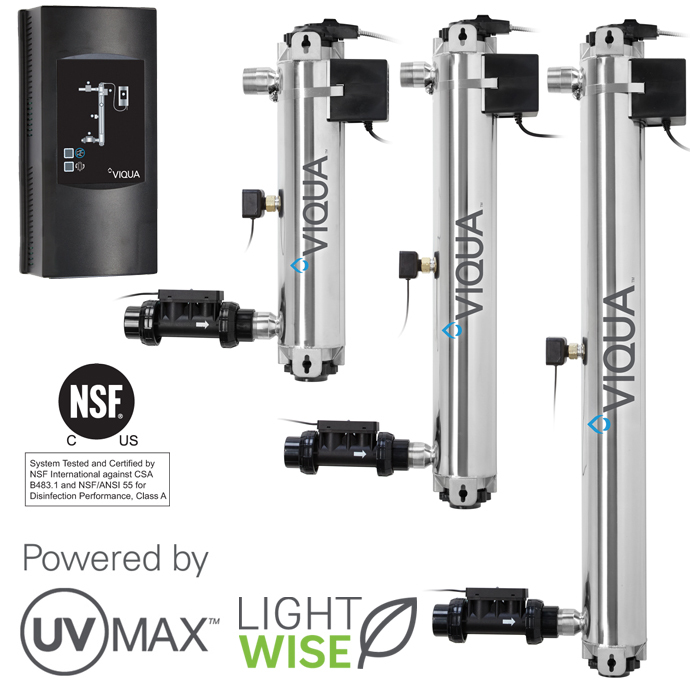 VIQUA’s NSF 55 Class A Professional systems feature flow meter technology for accurate real-time UV dose measurement and reporting, together with a completely redesigned UV sensor for vastly improved reliability. 99.99% Destruction of Bacteria, Virus, and Protozoan Cysts (Giardia Lamblia and Cryptosporidium) at rated flow. Specially designed and tested Sterilume-HO lamps provide consistent and reliable UV output over the entire life of the lamp (9000 hours) to ensure continuous purification. Treating our water supply by the use of UV disinfection is not only more effective than traditional treatments, but it is also an environmental responsible way of treating our water. There are no disinfection by-products with the use of UV which is safe and chemical free. Plus, UV does not alter water chemistry and its constituents, such as pH, taste, odor, or color. In many jurisdictions, facilities - especially if the facility is served by a private water supply - are often subject to water quality regulations. 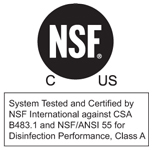 Systems in the VIQUA Professional Plus series that have been tested and certified under the rigours of the NSF/ANSI Standard 55 Class A certification designation are ideally suited to these situations. Even where a residual is required, using a multi-barrier approach (UV plus reduced chlorination) can deliver complete safety while reducing exposure to chlorination by-products. *Part numbers listed are for North American (NEMA) volage. EU CEE (CEE 7-7) is also available upon request. 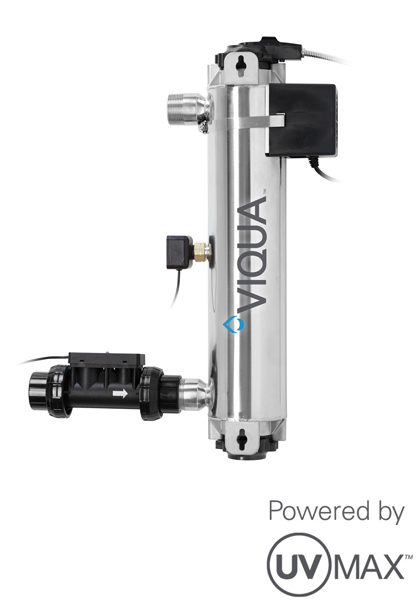 **Flow Rates listed are based on 70% UVT water and UV Dose of 40 mJ/cm² (NSF/EPA Standard). 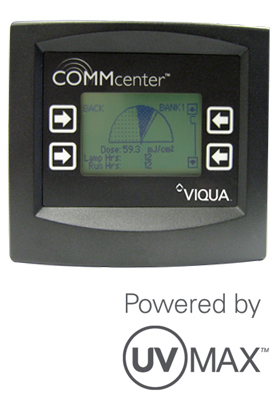 Contact Us COMMCenter control panel for indepth uv system peformance monitoring. LightWise™ technology to lower lamp power during no flow periods to extend lamp life, reduce sleeve fouling, and lower energy consumption. 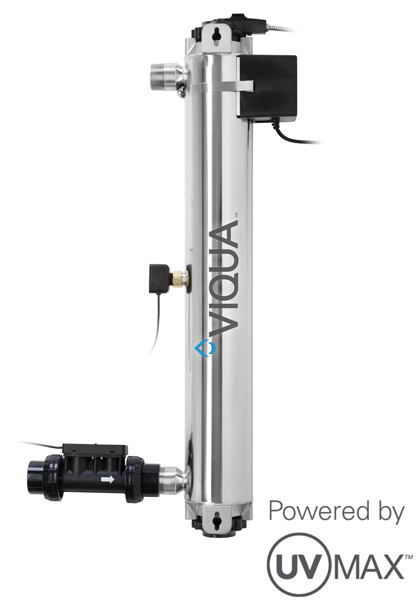 Where can VIQUA’s Professional and Professional Plus UV systems be used? Everywhere! The young, the elderly, and those with compromised immune systems are among those most susceptible to infection. UV offers a safe, chemical-free solution to keep these vulnerable individuals safe from biological contamination in their water. Whether the water source is a lake or a well, don’t let poor water quality ruin your customer’s recreation. UV is a chemical-free solution to protect all outdoor enthusiasts. 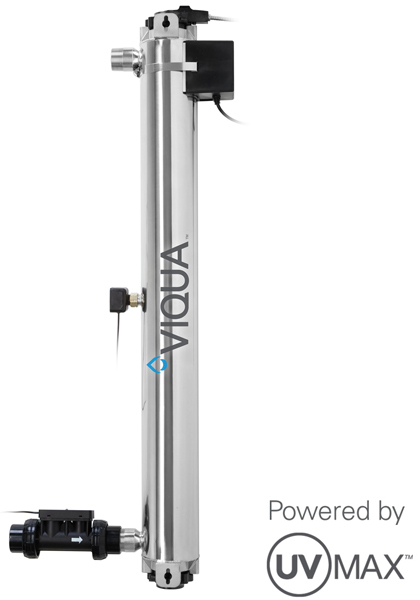 For non-community water suppliers like camps, VIQUA UV systems can protect visitors and business owners alike. A multi-barrier approach will meet all the regulations with minimal use of chemicals. It’s simply good business to ensure the quality and safety of the water provided for employees and visitors, from washrooms and drinking fountains, to water features. Protecting your employees and visitors protects your business interests, too. It’s hard to name an industry that relies more heavily on recommendations and word-of-mouth. Guest experience is everything. Water quality enhances food and beverages, and water safety ensures your reputation – and your livelihood. 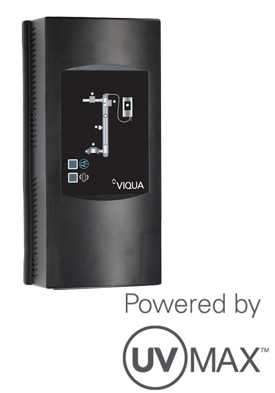 Count on the protection of VIQUA UV systems. Animals grow faster, and cows produce more milk with a clean, safe water supply. Why? They drink more, and get sick and dehydrated less often. Using VIQUA UV treatment provides a chlorine-free means of protecting animals from infection.